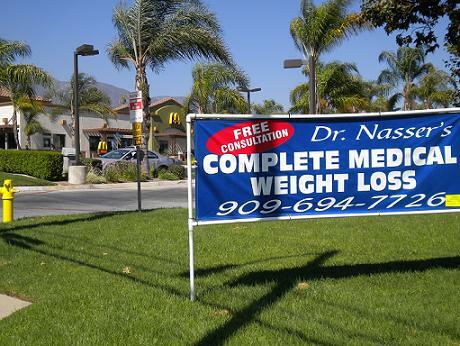 This weight-loss sign is strangely, or perhaps strategically, placed on Carnelian Avenue in Rancho Cucamonga in front of a McDonald’s. My vote is for “strategically” since we all could probably use a reminder about our waistlines. Especially at this time of year. Happy New Year, David. I look forward to spending time with you in 2010. Meaning, of course, that I’ll be reading your column and the blog.